There are some flavors that are just meant to go together like chocolate and raspberry. Wrap them both up in a Raspberry Chocolate Pound Cake and you have a 5-star winner. 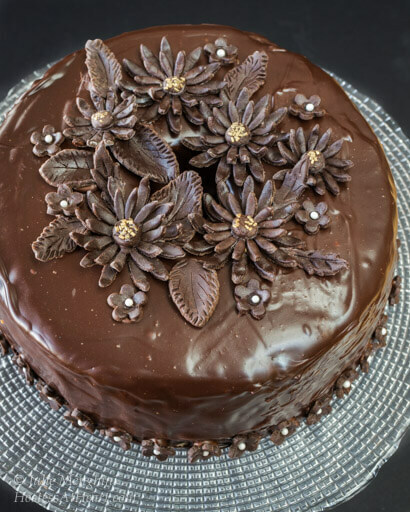 Cakes don’t have to be difficult or technical to make to be absolutely delicious. When I came across this Raspberry Chocolate Pound Cake recipe in my mother-in-law’s recipe box I just had to try it. I knew that it would be perfect to take to a virtual weeklong party known as Choctoberfest too! Noted on the recipe card was that she’d gotten it from “Karin – – Hershey Calendar”. 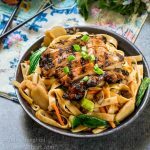 When I was younger and cooking for my family, a lot of my recipes were taken from the ingredient package or given to me by friends. 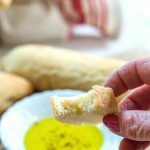 I don’t know if other people talk about food as much as I do, but I’ve been in the recipe sharing business for a long time. That’s probably how my Mother-in-law acquired this recipe too. 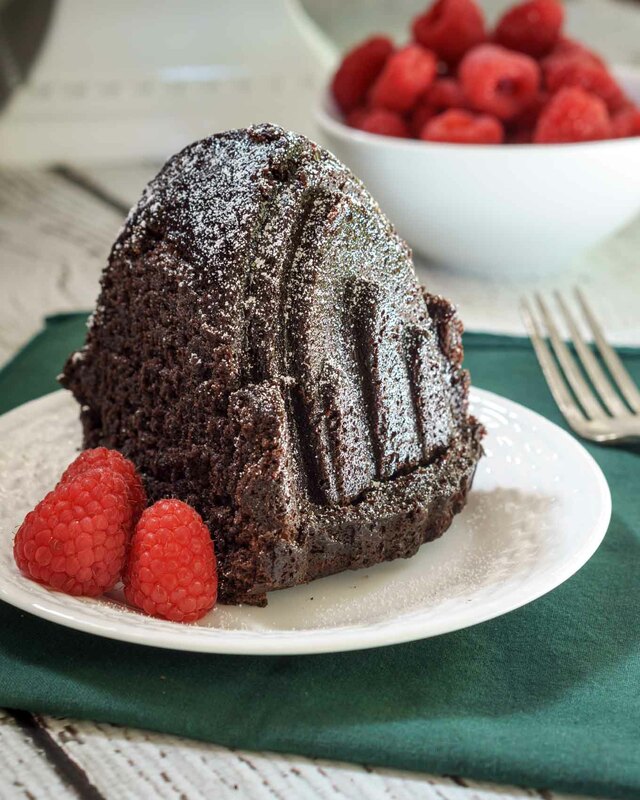 Raspberry Chocolate Pound cake is quick, easy and delicious. A smattering of powdered sugar is all you'll need because you will not want to cover up this cakes purple hue with frosting. Preheat oven to 350°F. Grease and flour a 12 cup fluted (bundt) pan. Set aside. In a small bowl microwave 3/4 cup raspberry jam on high until melted (30-45 seconds). Allow to cool. In the bowl of an electric stand mixer, combine flour, sugar, cocoa, baking soda, and salt. Mix on low to combine. Add butter, sour cream, eggs, vanilla and melted jam. Beat on a medium speed for 3 to 4 minutes until smooth. Pour batter into prepared pan and bake 50 to 60 minutes or until a toothpick inserted comes out clean. Cool 10 minutes in the pan on a cooling rack. Remove the cake from the pan onto the cooling rack. In a small bowl, microwave remaining 1/4 cup jam until melted. Brush jam over warm cake. Recipe adapted from Hershey's Chocolate. 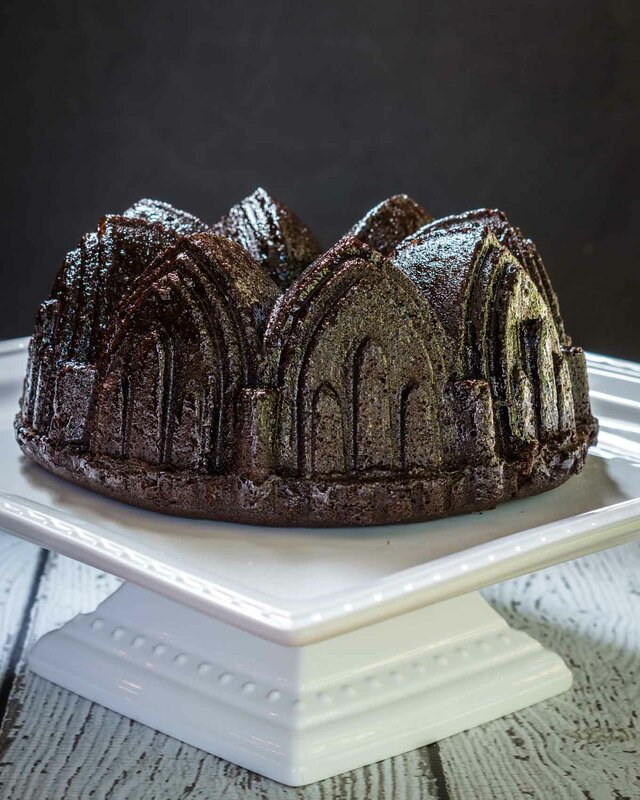 Raspberry Chocolate Pound Cake is a winner in my recipe box. It was so easy to put together, and I’ll definitely make it again. This is the second Hershey’s cake on Hostess At Heart. 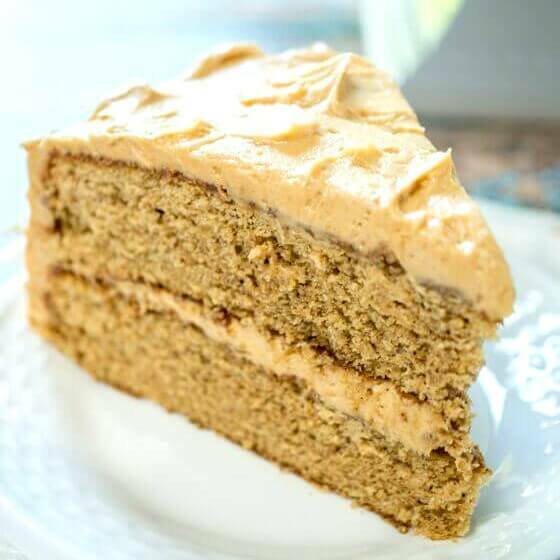 The first was Hershey’s Syrup Cake and is also amazing! And if your in the mood for cake here are a few more that I love! This post includes some affiliate links for your convenience. Click here to read my full disclosure policy. I’m often asked about the supplies that I use in my kitchen. For your convenience, I used my this beautiful Bundt pan and Cake pan spray to assure this beauty popped out without a hitch. When I was a kid, I mail-ordered the Hershey cookbook. It was the first cookbook I ever cooked from. (Other kids played with Hot Wheels; I played with hot baking pans.) Anyway, Hershey’s recipes are generally fantastic. I still use them from time to time. About your baking pan, though … I’ve seen these, but have never used them. I’m always so sure that because of all the nooks and crannies, I would not be able to get the cake to come out cleanly. Is that a false assumption? Or are there tricks? I think I may still have that Hersheys Cookbook Jeff! I was really nervous about the pan that I used. 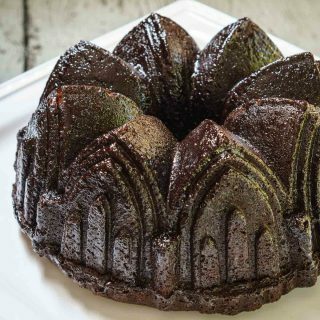 Not all bundt pans are created equal! This one http://amzn.to/2ggJUTW (affiliate link) is the one that I have. I sprayed it with a non-stick spray with flour like Bakers Joy and prayed. That baby popped right out not leaving a crumb. I had another one that was like melamine and I could have drowned it in lard and my cakes still wouldn’t come out. I really like the Nordic Ware brand and many are listed as nonstick. Thanks for stopping by chef! Chocolate and raspberry are one of my very favorite flavor combos, this looks sooo moist and delicious! Thank you Meghan! It is so easy and yummy. Julie, this cake looks like serious business for a chocoholic like me. I’ve never thought to mix melted jam into a cake mix but I’ll bet it’s wonderful. Simply gorgeous. Thank you Jane! It was so easy and the red glaze was striking. 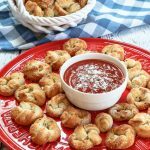 Julie, your post reminded me of the recipes files my sister and I went through when our dear mother passed away… so many memories! Thank you, sweet girl! I am so lucky to have been given recipes boxes from John’s mother and grandmother! Some recipes that I remember seem to have disappeared though. My mom was bad about writing recipes down on the back of check blanks or whatever was handy! I absolutely agree that chocolate & raspberry make the perfect marriage! This cake looks incredibly good! Thank you so much Alix! This is such a gorgeous looking cake. 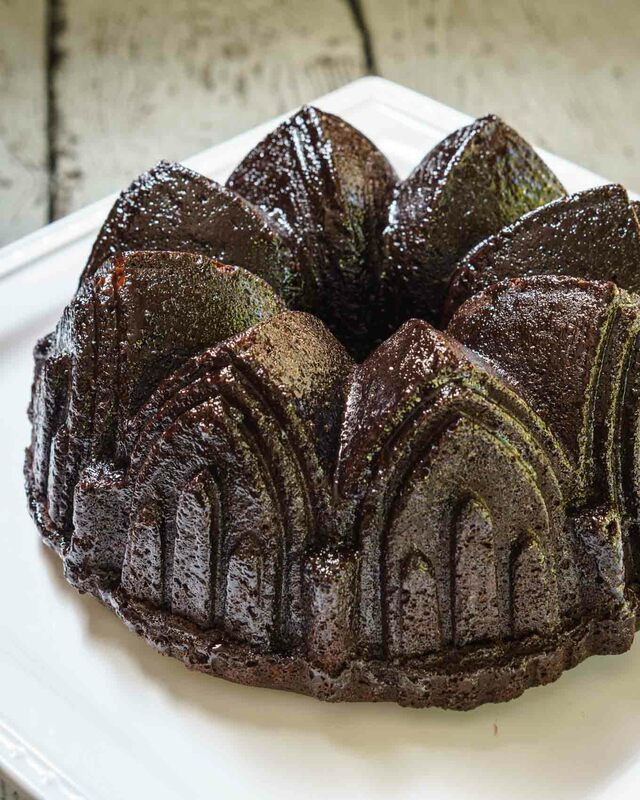 I love the effect of the jam glaze and love your bundt tin too! Thank you so much Rosie! I was so happy with the hue that on that cake. That is one of the most luscious pound cakes I’ve ever seen Julie! The shape, the rich gloss, the deep color…beautiful!! Thank you so much! I was so pleased with the way it came out too! Thank you Lily! I love the texture it gives to the cake too. Thank you! I used to be a chocolate purist in my earlier uninformed years. Thanks for stopping by and enjoy your weekend! Julie…This looks amazing and delicious. You pictures make me want to gran my fork and take a bite:) I need to get my bundt pan out now as I have not used it in ages. Love it. Thank you Zeba! I don’t always use my bundt either but I’m really glad I did for this one. You have done it again Julie! A spectacular dessert as beautiful as it is mouthwatering for a chocolate and raspberry lover. Can you make this one for my birthday too? I would LOVE to Johanne! Thank you! Thank you Ann! It is really a easy yummy treat. 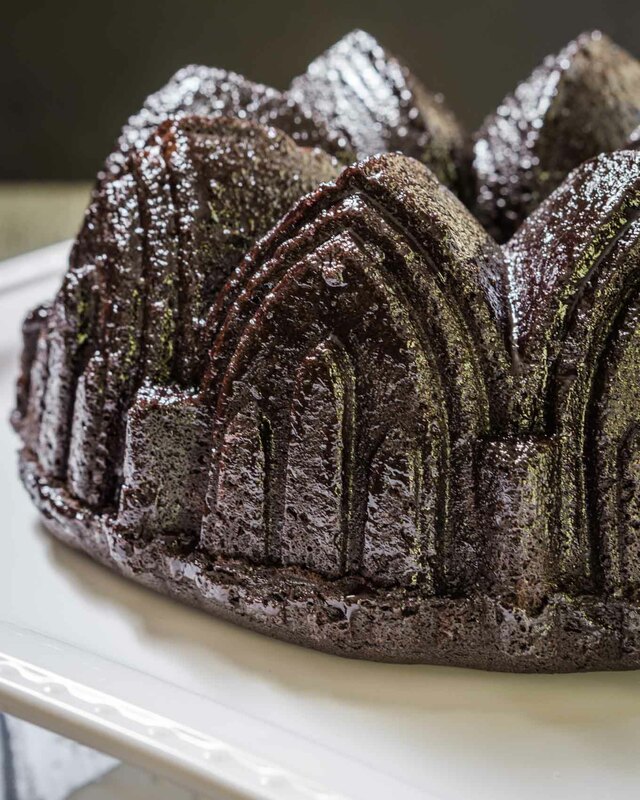 Yum…and I need that gorgeous Bundt pan! Thank you Colleen! It was actually given to me in the wrapper. The buyer never used it. I snatched it up and couldn’t wait to try it. I’d love to raid your bakeware closet someday Julie. 🙂 Love the intricate design on that bundt pan. 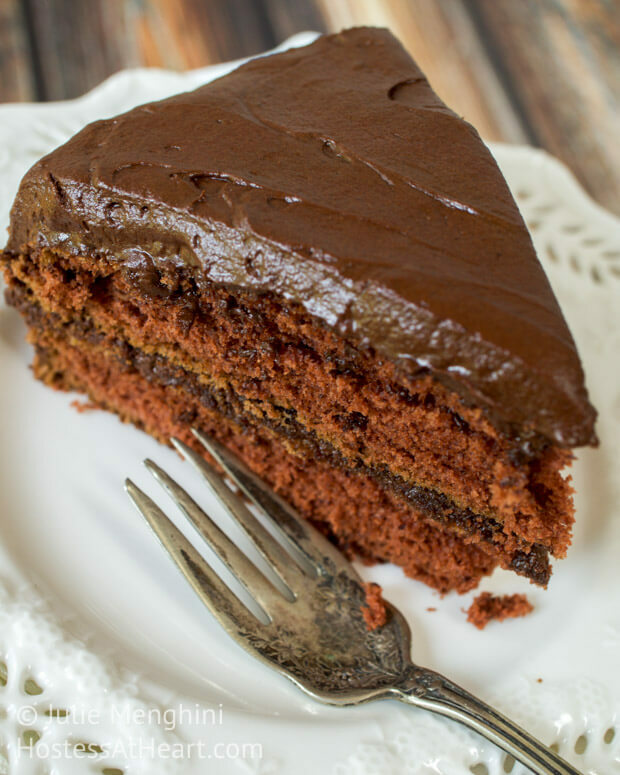 The ingredients are gorgeous, I can just see myself stashing slices of it in ziploc bags in the freezer and bringing it out one slice at a time when I need that chocolate craving. Lovely! Thank you Loretta! My mother gave me that pan. Someone gave it to her and she doesn’t cook anymore. I worried on how it would release since it has a lot of nooks and crannies but it popped right out. The ziploc is a great idea! John ate this whole thing over a week long. I have baking toys in my kitchen, pantry and basement…I need to do a clean out but am afraid I wouldn’t get rid of anything. Thank you, Sarah! I really like that pan too. Thank you Jess! I hope you have an amazing weekend too! Oh wow! Such a beauty! And so easy to make! 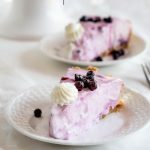 I will definitely try this recipe – my son loves everything raspberry. Thank you Ana! John ate almost this whole cake so I think your raspberry lover will like it too. Have a wonderful weekend! Thank you, Julie! You too! Wow that is a beautiful cake Julie. I am pound cake challenged but never tried chocolate before. I’ll have to try this recipe. I have mini bundt pans that would be perfect for this. Thank you Suzanne. It was really easy and I think your minis would be perfect. Loretta talked about putting slices in her freezer for chocolate fixes. I thought that was a great idea too.